4. A child runs to attend classes at the Ariathdit Primary School, also a Referendum Centre in Aweil, Northern Bahr el Ghazal State. Women register to vote at the Sik Hadit Market Referendum Centre in Aweil town. Despite early concerns that women were not well-represented, they came out to register in large numbers after the first few days of registration and became the majority of registered voters. On November 23, over 151,000 men and women had registered to vote in Northern Bahr el Ghazal State. 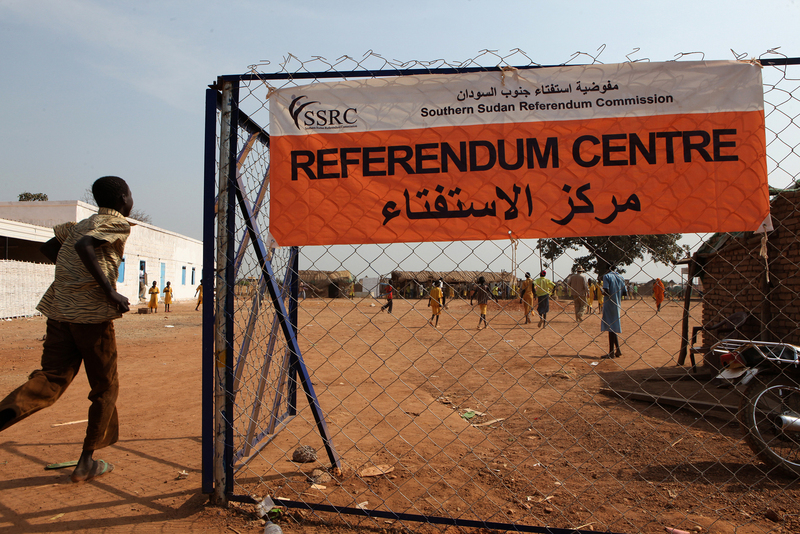 The Referendum is an opportunity for the South Sudanese people to cast their vote for self-determination, and either stay united with the Republic of Sudan or secede and form their own state. After independence on July 9, 2011, South Sudan became the 54th African nation.